See a Nurse for conditions such as vaccinations, sexual health, contraception, blood pressure checks, health reviews (such as diabetes and COPD), wound management, cervical screening and lifestyle advice. We are pleased to offer a private travel service for our patients, and offer a limited number of travel appointments with our specially trained nurses. Please complete our travel form at least 8-10 weeks before you plan to travel. Free confidential helpline provides supportive, listening signposting service for serving personnel, Veterans and families. Confidential and safe help and advice about Service-related mental health issues for the whole military community. Share what’s troubling you anonymously 24 hours a day, 7 days a week – free for serving personnel, veterans, family members and carers. Website giving information on claiming AFCS, Armed Forces Independence Payment, Medical Discharges and Pension Forecast Requests. Military charity for limbless Veterans. Free support for adult family members of injured, wounded and sick, currently serving, reservist veterans and all military personnel. National database for access to low cost counselling for family members of injured, wounded and sick, currently serving, reservist or veterans. Support for family members of injured, wounded and sick, currently serving, reservist or veterans. Bucks Carers offer support to all sorts of carers – Young Carers, Parents caring for a child with a disability, Carers from the black & ethnic minority community and people who are caring for a relative with mental health problems. Young Carers Bucks is part of Carers Bucks and supports children and young people in Buckinghamshire aged 6-18 years old who have a caring role. Care Advice Buckinghamshire is a website for adults in need of care and support in Buckinghamshire, their families and carers. You can find information and advice, ways to assess your own needs, community support and care products and services. Provides a range of services to children and young people throughout Buckinghamshire including health visiting, school nursing, physiotherapy and occupational therapy. You can self-refer to many of these services. Every family with a child under five years old has access to the health visiting team. We offer free universal support either face to face or via telephone according to the Department of Health’s Healthy Child Programme. They work in the community, in children’s centres and in families’ own homes to promote health and wellbeing and to support families with all aspects of bringing up a child. View Child Health Clinic information from the Buckinghamshire Family Information Service. Every effort is made to ensure that the information published here is accurate and informative. Contact details are provided for information. We cannot accept responsibility for any information available on the various websites listed, and can confirm that by listing service providers we are not implying endorsement. My name is Charlotte Duggan and I am a qualified UKCP Psychotherapist and Counsellor and a BACP member with more than ten years practical experience. I am committed to providing counselling and psychotherapy in a safe, confidential and non-judgemental environment. I work with both individuals and couples on an open-ended basis or for an agreed time period, with the aim of enabling you to enhance your life and to live it more fully. Dr Amy Luck is a qualified Clinical Psychologist with 11 years of experience helping people with a range of emotional and behavioural problems. She is registered with the HCPC and has chartered membership with the BPS. She first completed a BSc psychology, followed by a PhD in psychology at the University of London and then a further Doctorate in Clinical Psychology at the University of Manchester. Therapy doesn’t have to take years; I am trained to help you gain insight into the origins of your problems and to develop the necessary knowledge and skills and to reach your potential. You will be able to take practical steps towards creating a fulfilling and happy life! I am the facilitator and you are in the driving seat! I can support you whether you are in crisis and your world is falling down around you, with specific issues or you just would like to understand yourself better. Events, experiences or triggers can cause anxiety, depression and or relationship problems at some stage in our lives, making our everyday life very difficult. Unwanted memories, fear, trauma and habits we don’t understand and cannot give up, can cause emotional turmoil. At these times we cannot make sense of life’s puzzle, since none of the pieces are obvious to us in that moment. Counselling can help put some of those pieces together, helping us to see the whys and the wherefore. It can eventually help us to see a clearer picture. Hopefully working towards a more positive change and/or understanding. I am a fully qualified BACP registered Integrative Counsellor working in Aston Clinton. I have extensive clinical experience of working with children, young people and adults. Integrative means that I use different ideas, theories and techniques to suit you. Sessions can be just a few in number, or on a longer-term basis. Healthy Minds is a NHS service offering quick and easy access to talking therapies, practical support and employment advice. Anyone who is feeling depressed, anxious or stressed, is aged 18 or over, thinks they may need counselling and has a GP in Buckinghamshire can request help from Healthy Minds. An independent charity working to support and represent people with mental health needs in the local community. Lindengate is a mental health charity that offers specialised gardening activities to help those with mental health needs in their continuing recovery. Serves the Aylesbury Vale area and supports women affected by abuse with the aim of enabling survivors to live fulfilling lives. For all women and their children who are or have experienced physical, mental, emotional, financial or sexual abuse in their relationships and to offer support, information, advice, access to temporary safe accommodation and aftercare. Helps anyone affected by crime, including domestic abuse. Helps anyone affected by stalking behaviour. Offers practical advice concerning stalking and the law, but also has links to Single Points Of Contact within each police force who can review cases of stalking to ensure enough is being done to protect victims. The Oasis Partnership is a charity providing specialist drug and alcohol support services across Buckinghamshire since 1984. They offer a wide range of recovery focused support options, aiming to help individuals to address their drug or alcohol problems and get their lives back on track. Drug and alcohol counselling in Buckinghamshire is offered by centres in Milton Keynes and Aylesbury, as well as being provided by the rehab in High Wycombe. An organisation providing help and support to anyone affected by an eating problem such as anorexia nervosa, bulimia nervosa or binge eating disorder. It also provides help for those who are caring for or supporting someone with an eating disorder. Age UK offers help for older people to achieve and maintain their independence and wellbeing. Dementia Information and Support Sessions provide information about dementia and relevant support services. There will also be the opportunity to chat with others in a similar situation. Get a FREE personalized health score when you complete this 10 minute quiz. How Are You is for over 18s only and is only designed to point you in the right direction. It’s not a medical assessment – if you’re worried about your health you should speak to a health professional. Active Bucks is a weekly programme of fun and inspiring activities taking place across Buckinghamshire; on days, evenings and weekends. It will continue throughout the year and new activities will be added regularly. Having a baby is an exciting time for all the family. At Buckinghamshire Healthcare NHS Trust, we want to provide you with excellent care and support throughout your pregnancy and birth. View an overview of what to expect from our maternity services during your pregnancy and the birth choices we can offer. View information on Obstetrics and gynaecology, Pregnancy, labour and postnatal care and Supervision of midwives from Buckinghamshire Healthcare Maternity services. View information and advice from pregnancy to early years. Find information on local Buckinghamshire Sexual Health and Wellbeing (bSHaW) walk-in clinics and advice and support. A free service which offers advice and support for those wishing to lose weight, quit smoking, get more active, feel happier or manage their diabetes. 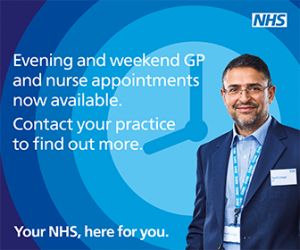 The service is available to patients living in Buckinghamshire or registered with a Bucks GP. Mind, Exercise, Nutrition…Do it! (MEND) is an obesity prevention and treatment programme for children and young people. Mytime Active is commissioned by Buckinghamshire County Council to deliver the MEND 7-13 programme for children aged 7 to 13 who are above the healthy weight.